The biggest challenge faced by students looking for taking admission into an Online MBA or Distance MBA programme is finding the Best Distance Learning MBA University. In India, there're various open universities & private institutions offers a degree programme in management. In our today's article, we'll discuss how to find the best college for yourself. While choosing an Institution for your MBA Distance Education programme you should take care of the following points. Checking the affiliation and recognition is the first thing someone should do while choosing a distance MBA course in India. 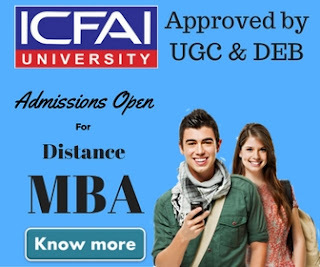 In India, all universities offering distance learning degree courses are required to take approval from UGC Distance Education Bureau (UGC-DEB). UGC publish the list of approved universities on their website. Someone must check the list to confirm if the university he/she is going to choose for pursuing an MBA is approved or not. In distance education courses study material & curriculum plays a very important role as in these type of courses most of the time you get limited assistance & you study yourself. An updated curriculum not only helps you learn the current business strategies but also helps you compete with other students doing a full-time course. Faculty of an institution is the foundation stone for any institution. Generally, all the top institutions & university provides you classes through their study centers or online medium. A Good faculty uses a new approach to teach the things. Someone should interact with some students already studying into the institution to clear your doubts. 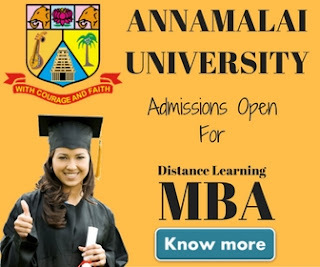 Must check if the University or Institution you're opting for your distance MBA is equipped with all the latest infrastructure required to provide distance education. Now a days, a well organized online education system is a must for distance education because it gives you an ease to study at the time you want & watch the pre-recorded lectures from the ease of your home. Every institution has a different set of specializations available. before taking the admission must check if your skill sets matches with any of the specialization offered by the university. Choosing an specialization based on your past education is always considered to be a good practice. we read reviews about any product & service before buying it, why not we read reviews about an University or Institution before taking an admission. That's true that good reviews about distance learning courses are very rare on internet but if you'll Google it, you'll find some helpful reviews for sure. This is the easiest thing you can find on internet about any institution. Generally this information could be found on the university website itself. All the good institution publish their ranking & awards information on their website to attract the students. Organizations like DNA-Indus Learning, Zee Busineee, Outlook, Dainik Bhaskar, Competition Success Review etc publish these rankings based on the different factors to help students choose the right distance learning MBA course. Fee is also a deciding factor in your decision process to choose a course for distance learning. 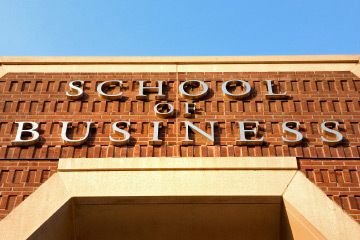 Generally all Universities charge an affordable fee for their MBA courses. On an average, an Institution charge Rs.15,000/- per semester. Usually distance learning courses are more popular in working professionals having 2-5 years of working experience but still some Universities provides job assistance. If you're a fresher must check if the institution you're gonna join provides any such assistance.